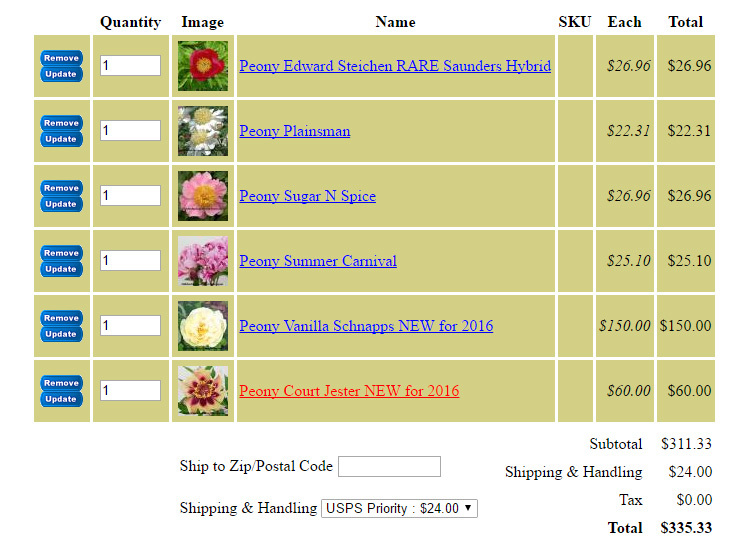 I was waiting to see what Harvey would be listing in his Last Chance Sale at Hidden Spring Flower Farm this year. When the list came out yesterday, there were several on his "Last Chance Sale" list that I wanted. 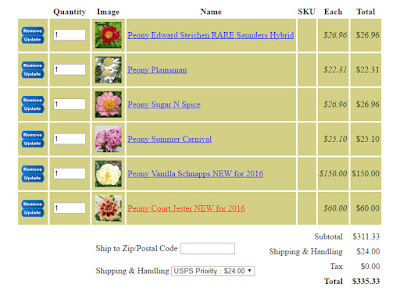 I'd worked up a basket of over $330 in peonies (Peony 'Edward Steichen', Peony 'Plainsman', Peony 'Sugar N Spice', Peony 'Summer Carnival', Peony 'Vanilla Schnapps', and Peony 'Court Jester'). However, there are so many more to choose from (over 100 varieties). 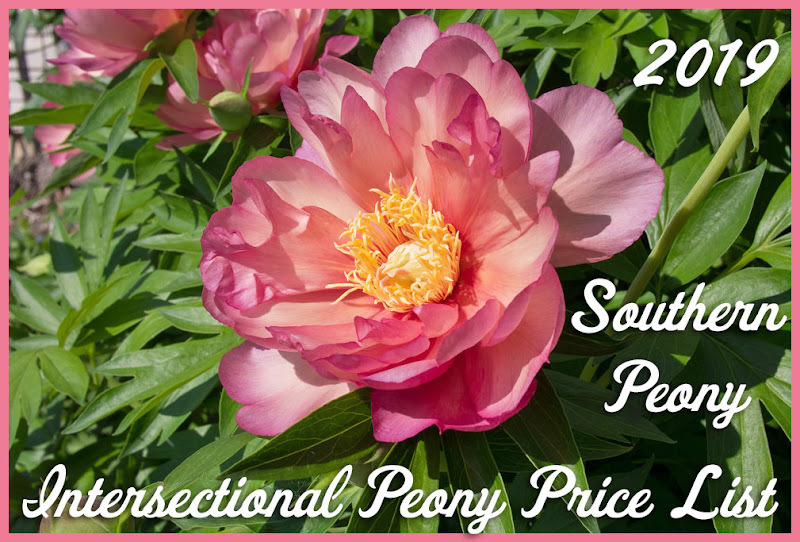 The sale only lasts through tomorrow - October 15th, and the full list of sale peonies can be found on the Hidden Springs Flower Farm web site under "Last Chance Sale". Since I'd just won a couple peonies in the fall auction this past weekend, I decided I'd better scale it back a little. So in the end I decided that I really "needed" ;-) Peony 'Vanilla Schnapps' and Peony 'Summer Carnival'. 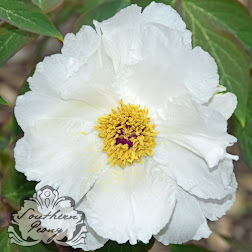 If you didn't win some certain peonies you were hoping to win in the fall auction, you might find them here (or perhaps you may find an even better replacement). If you save your basket and someone checks out before you the item may look like it is still available hut could be sold so it is best to check out during the Last Chance Sale right away to avoid disappointment.